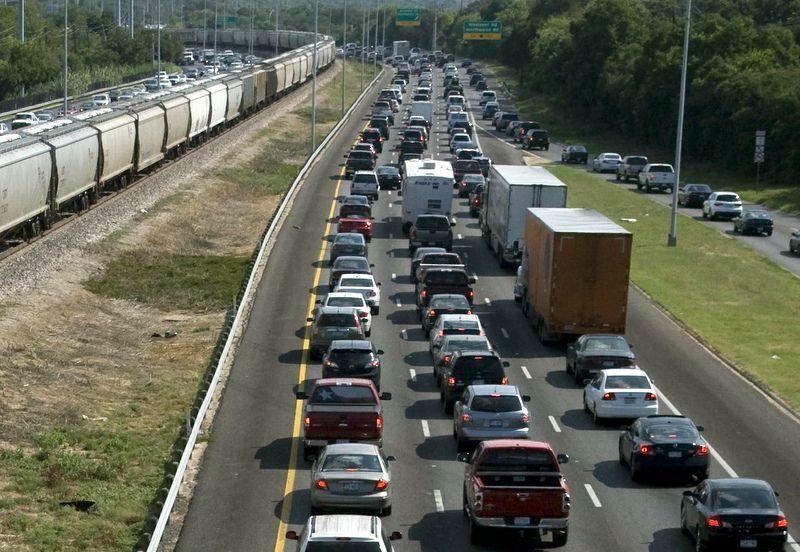 But changes are coming soon, as the MoPac Improvement Project gets underway this fall. 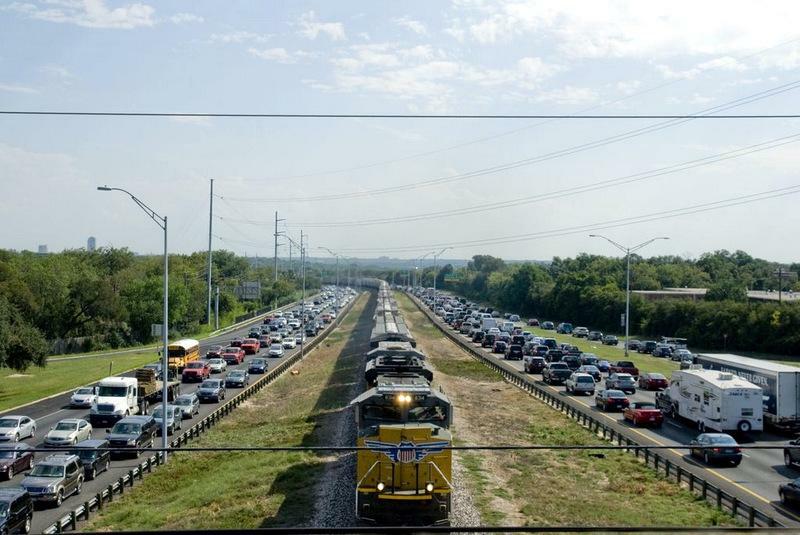 Estimated at $200 million, the project will add express lanes from Caesar Chavez Street north to Parmer Lane, with the toll price set dynamically according to the amount of congestion on the highway. 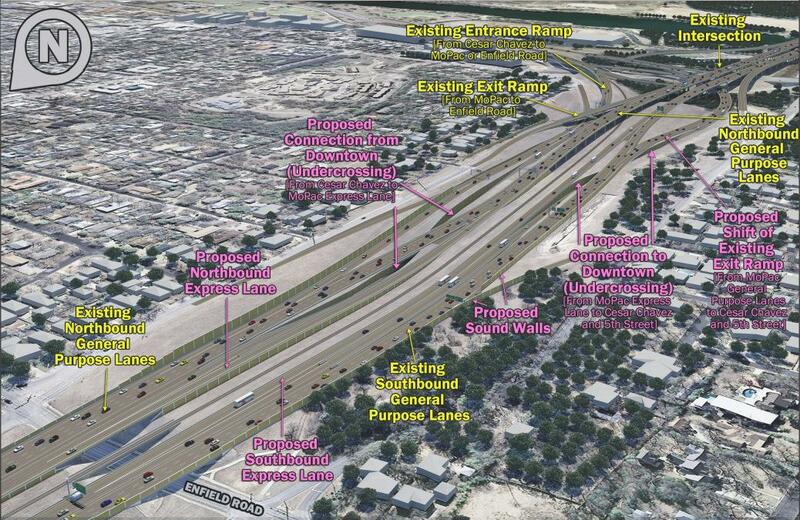 The project will also construct sound walls along heavily populated areas of freeway and improve or upgrade nearly three miles of existing bicycle and pedestrian corridors. Planners contend that this shift will “reduce the visible footprint” of the ramps while also making the construction process easier and less disruptive to ongoing traffic. Modify the southbound exit to Caesar Chavez and Fifth Street to allow express lane traffic to exit to either Caesar Chavez or 5th Street. Abandon an existing 42-inch waterline between 35th Street and 45th Street in favor of a new line, to be constructed outside the MoPac right-of-way. Slightly realign the northbound exit ramp and access road to Steck Avenue. An open house to meet the contractor, ask questions, and learn more about the MoPac Improvement Project will take place on Tuesday, November 12 at O. Henry Middle School, 5-7 p.m. All interested citizens are encouraged to attend.